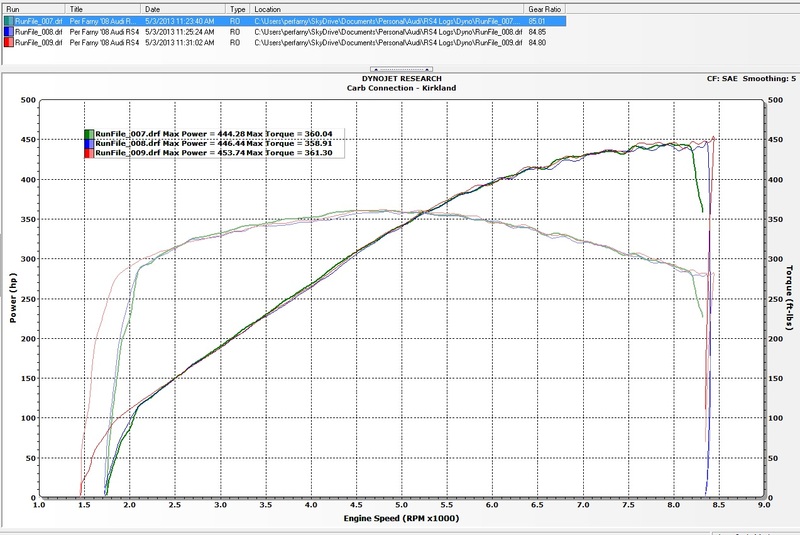 This site exists to track and document all things regarding my 2008 Audi RS4. 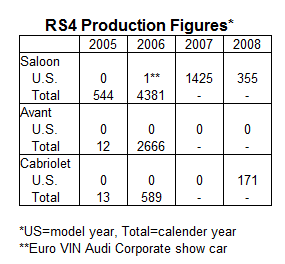 Just under 2,000 RS4's were imported into the US for the 2007-2008 model years. I took possession of mine on 9/23/11 with 20,655 miles on the odometer. On to her 3rd owner on 9/19/2015 with ~71,000 miles on her! Aaaannnd, that didn't last long. On to her 4th owner, as it sold early January 2016. Whoever bought it, let me know if you want to take over this site. I'd be happy to continue to track the life of this great car.